Showing 25 articles from August 11, 2014. 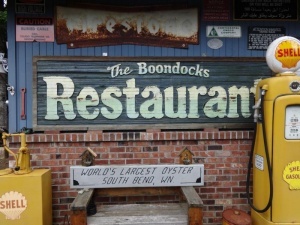 Jerry Bowman acquired the old Boondocks sign in 2011. After restoring it, he hung it among his other collected items, including the World's Largest Oyster sign that used to be by a large, cement oyster as a tourist attraction. SOUTH BEND - It's like a scene out of the History Channel series, American Pickers - old signs, sometimes decades old, decoratively peppering the landscape, on building walls, in the flower gardens, and even nestled up under surrounding trees - from the old South Bend Coffee Company Sign and a rusty Purina Chows sign that was used at a feed store in Puyallup to the True Value sign that used to be on Dennis Company. Mark McClain defeated incumbent David Burke in a close tally for the position of prosecuting attorney in the Pacific County Primary Election, which concluded Friday. SOUTH BEND - Jon Tienhaara, former teacher and principal at Naselle High School, is taking over the position of superintendent at South Bend School District. 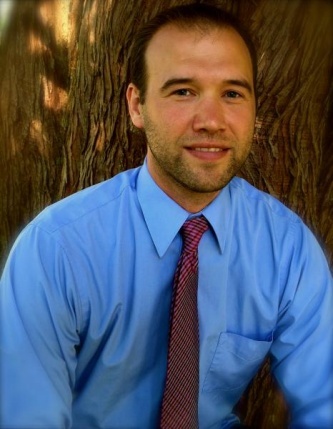 With 13 years of experience in education, Tienhaara is working on finishing his doctorate in educational leadership from Seattle Pacific University. SOUTH BEND - Monday night at the South Bend City Council meeting, there was an ordinance passed that will allow cargo containers to be used in commercial areas. The Friends of the Castle Rock Library will be holding their regular book sale this weekend, and residents are invited to come and support this vital fundraiser. Taking place from 11 a.m. to 6 p.m. Friday, and from 10 a.m. to 3 p.m. Saturday, the sale will feature a number of books and movies, all of which are being sold to support ongoing library activities. Filmmaker and Toledo native Andrew Lhamann has produced a new feature-length documentary called Out of Nothing, to be screened at Toledo Middle School on Aug. 21. Lahmann co-produced the movie with actor Ryan Stiles and tells the true story of four motorcycle racers seeking a new land speed record at the Bonneville Salt Flats. The City of Longview is inviting local residents to "Come get Nutty" for the fourth-annual Squirrel Fest, a celebration marking the city's relationship with its historic squirrel bridge. Featuring family-friendly games and live entertainment through the day, and a large fireworks display at night, many events and acts will be returning, as well as new programs such as the much-touted "Never before seen: The Great Acorn Scramble." The Washington Bluegrass Association brought out some nationally-renowned acts for their 30th annual Mt. St. Helens Bluegrass last weekend in Toledo. Including Georgia-based Larry Gillis and his Hard Driving Swampgrass Band, and Virginia-based James King, who was nominated last year for a Best Bluegrass Album Grammy, these highlight were among multiple amateur and professional performances at Toledo High School between Friday and Sunday. The August Garage Sales are fast approaching - that's Friday and Saturday the 22nd and 23rd. From what I'm hearing, there will be quite a few home sales, some of which will be quite large. There will, of course, be the Women's Club Sales at Pioneer Hall and something new is an Indoor Flea Market in the Community Hall Auditorium. The Garage Sales are a major way to find new homes for unwanted and unused items, and if we're lucky, more leaves town than comes in! I think the trendy terms for parting with old stuff are "rehomed" and "repurposed". Correction: Toledo Lioness Afternoon Tea tickets October 5, $10. Available from any member or contact Rachel, rachel@phillippsins.com, (360) 864-8844. Discover the benefits of membership. Visit www.facebook.com/toledo.lioness. Wednesday Toledo Community Library opening day celebrates local access to Timberland Regional Library's vast media complementing already well-stocked shelves, WiFi and more. Wednesdays 10 a.m. - 7 p.m., Thursdays 10 a.m. - 5 p.m. and Saturdays 10 a.m. - 2 p.m. at 241 Cowlitz. Find Friends of the Toledo Library on Facebook or visit www.trl.org/Locations. The end of this month will feature a public hearing regarding the City Council's current ban against medical and recreational marijuana facilities. Scheduled for the council's Aug. 28 meeting, residents are encouraged to offer verbal input, or written testimony, and those needing more information or accommodations may call (360) 925-3222. The Vader Lions Club will soon be on the lookout for new members to help bolster their community outreach efforts. Currently inactive, due to the summer months, local Lions plan to start meeting again regularly in September, and those interested in joining may call Lois Wilson at (360) 295-3002. The Winlock School District's summer meal program will be ending this Thursday, so be certain to take advantage while this offer remains available. Through Thursday afternoon free breakfast and lunch will be available to children 18 years of age and younger at the Winlock Miller Elementary School cafeteria between 8 and 8:30 a.m., and 12 and 12:30 p.m., respectively. The district is also accepting donations of school supplies for their Stuff the Bus program, which will run officially Aug. 25 through 29, but donations are being accepted at the district office right now. For more info on this unique and beneficial fundraiser, call the district at (360) 785-3582. You know the saying, "It takes a village to raise a child." Well, that is never more true than in the Winlock Community. I am in total awe and gratitude at the generosity of so many and you know who you are. If I begin to mention names I would leave someone out, so I will simply cite a few examples. We have a group of dedicated PTSA members that are working around the clock to get supplies for our teachers and students - and to organize a campaign to pave our track. They work tirelessly and make so many wonderful connections. An open letter of gratitude to all the people of Winlock who participated in or signed our petition to stop the Crematory being built in downtown Winlock. Some 360 citizens joined in the struggle to stop this project from moving forward and do to the efforts of all who participated, we gained the attention of the ownership and management of Cattermole Funeral Home. Lewis County Superior Court is celebrating 10 years of their Drug Court program, with court officials visiting local cities to share their successes. Though based on models used nationally, Lewis County Drug Court, begun in July of 2004, has found itself performing far above and beyond the standards established elsewhere in the nation, according to supervisor Judge Nelson Hunt. The WSU/Lewis County Master Recycler Composter volunteers and their president have earned two statewide honors this year, recognizing their efforts in education, outreach and environmental improvement. The Washington State Recycling Association, a nonprofit membership organization that has been dedicated to supporting waste reduction, reuse, recycling and composting in Washington since 1976, named the Lewis County organization, along with its 22 members, the 2014 Non-Profit Recyclers of the Year. Contractors with Rotchey Inc. are moving into the main construction phase of Toledo's new sewer plant and remain on track to complete the facility by May of next year. Started recently were excavation and fixtures (pictured) related to two large clarifiers, intended to remove sludge from influent by scraping particulate matter from the top of settling water. The City of Toledo is hailing the success of their life jacket station at the Cowlitz River boat launch after two recent swift-water rescues included victims aided in survival by life jackets from the station. Taking place on July 27 and Aug. 1, the two incidents, first involving two 10-year-old girls on a punctured raft, and the second involving a 12-year-old girl and an 11-year-old girl becoming stuck in overgrowth after being swept off-course, found both sets of children having borrowed life jackets from the station. Much of SR 506 was obstructed last week as road crews repaired a sinkhole that opened up suddenly outside Vader. Located just west of the Olequa Creek Bridge, a sudden opening in the pavement was called in by a resident the evening of Aug. 4, and crews from WSDOT spend the better part of Aug. 5 attempting to find the source of the erosion beneath the roadway and fill the hole back in. A Vader man has been cited after allegedly stealing water service from Lewis County, according to the Lewis County Sheriff's Office. Jason G. Rayfield, 30, had been contacted by deputies Aug. 4 on the 500 block of B St. after allegedly drilling through a lock placed on his water meter due to unpaid utility services, and then parking his truck over the meter box to prevent access. Authorities are seeking help solving a theft taking place in Onalaska last month. Sometime between July 24 and 27, an unknown number of suspects entered a shed on the 200 block of Burchett Rd. and stole a black 2007 Kymco 300 ATV. The estimated loss is $1,800. Summer is a time for parties and picnics in the sun, but don't let a DUI ruin your fun. Even though Washington legalized marijuana for adults 21 and older, it is still illegal and dangerous to drive under the influence of marijuana or alcohol. That is why, between Aug. 15 and Sept. 1, extra officers will be on our roads looking for drivers under the influence of alcohol, marijuana, or other drugs during the annual Drive Sober or Get Pulled Over campaign. Many of these officers have special training to identify when a driver is under the influence of drugs as well as alcohol. Local EMS and fire responses between Aug. 4 and 10. One sentence, two dismissals and one warrant were issued by Judge Steven Buzzard during Winlock Municipal Court on Thursday. Multiple locally-owned wineries were able to take part in the first Cowlitz Wine Tour last weekend, drawing both serious and casual tasters from across the region. Taking place at locations in the Castle Rock, Silver Lake and Toledo areas, the tour is expected to be the first of many representing area wine-makers, showcasing their unique growing, aging and blending techniques.